Branding is a deliberate action taken by people, countries, places, companies to help create and formulate better and positive images; or to correct distorted tangible/intangible perceptions in the conscious and unconscious minds of current and prospective clients about their product and/or services. It is however important to state that the brand is not the logo, name, trademark, design, symbol or colour scheme; rather they are all components of the brand and not the brand itself. Branding goes through awareness creation, perception building, formulation or correction, loyalty development and client association to brands. All these components come about through the principle of repetition, which is basically the life-blood of a brand. There are realms of branding, and according to Balmer (2001a, b) corporate identity exists in five realms: actual, communicated, conceived, ideal and desired. It is therefore crucial to effectively combine them to arrive at the desired image for which the process of the branding was commenced. Over the past few years there has been a massive tide in the corporate landscape of Ghana; many institutions are positioning themselves with what is not really branding, but in the minds of many it is branding. Logos, slogans, and corporate colours are not brands in themselves; they are but components of the bigger brand-puzzle. Yes, indeed no organisation can make it without looking at Segmentation, Targetting and Positioning. The concept of positioning, also known as branding, is very broad: so much that no single write-up can cover it in totality. It is however very disheartening that many organisations in Corporate Ghana have gotten this all important concept wrong — and thus are not really getting the benefits of the huge financial inputs that were or are being invested. A typical example is when firms are conflicted between corporate branding and product branding. Branding is a process and not an event. It starts with the involvement of top strategic leaders in the organisation through middle-level leader to the “least” member of the organisation. It can basically be considered in two forms, which are the internal and external. These two forms have specific and strategic processes that must be followed to help create the brand. Many are the benefits that organisations stand to gain if deliberate action is taken toward the corporate branding process — not only in building systems but also in bridging the gap between the corporate identity and corporate reputation. A successful and strong corporate branding pays back through two major factors; which are customer-based images and stakeholders’ images. Another thing one cannot overlook is the increase in the network of suppliers, creating an effective and efficient supply chain management that can also help in the practice of just-in-time production, reducing expenses in stock housing, security, rent or even transport; increased suppliers also leads to creation of new partnerships; strong corporate branding helps to effectively manage links with regulators in the industry to increase standardisation and even social responsibilities; and finally but not in no way the least is the good will the organization enjoys from the local communities within which it is located. To build a strong corporate brand to ride on the above advantages, there must be a link and connectivity between the strategic vision, organisational culture and corporate image. This connectivity can be effective through communication and feedbacks from the internal and external stakeholders. So what is the Strategic vision all about? It is basically the central idea behind the company that embodies and expresses top management’s aspiration for what the company will achieve in the future. On the flip-side of the myriad goodies that strong and successful corporate branding brings to firms, there are also many woes that can befall a business if the branding is not done holistically. Neither do men put new wine into old bottles: else the bottles break, and the wine runneth out, and the bottles perish: but they put new wine into new bottles, and both are preserved. Matthew 9:17. It seems that many organisations in Ghana are just trying to put new wine into an old wine skin; they are just maintaining the old ways of doing things and yet aiming to create a new image in the minds of customers. 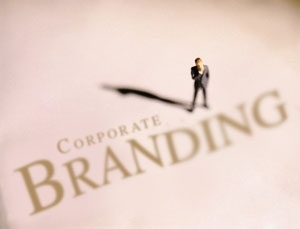 All that most firms are doing is polishing dirt — living in fantasies that change in logos, slogans, recorded voice messages or greetings, or corporate colours, is branding or rebranding. Having the same old systems and ways of doing things, the same unwelcoming faces staring at you like a stranger when the service is beyond bad and the products are nothing to write home about. It is ridiculous trying to defy the odds by doing exactly what will cause their institutions harm — putting old wine into new wine bottles. When organisational culture and behaviour seem to have been left out of the equation in the branding process, one is certain of getting to the land of doom with dispatch. Effective and efficient branding starts with the client (both internal and external); the human resources an organisation has. The staff needs reprogramming, new thinking and ways of doing things to augment the new trail the entire firm is blazing. If this is not done; huge sums of investment will go into promotions, campaigns and publications which will not yield anything, as the visiting clients will never come back since they don’t get satisfaction in terms of cost, time, product, service, quality or quantity they desire. It is not about a new and ultra-modern office building — with the same bad products and/or services that don’t delight and satisfy or exceed expectations. Rather, it is about satisfaction or customer delight, and exceptionally exceeding expectations and core needs and wants. Now you know the right approach corporate branding, get it right the first time by involving the appropriate expertise from the word go. In conclusion, it is said that quality is displayed by doing the right thing, the right way and at the right time, the first time. Get the basis of corporate branding right the first time and fly on the wings of benefits that successful and strong brands bring. Corporate branding is always backed with products branding, too. To succeed as a brand, it is important to use the goodies in the branding to forecast and research, to know the customer and the competition. Be in constant motion, monitor and evaluate periodically or else you will stray from the set target. Be proactive not reactive.